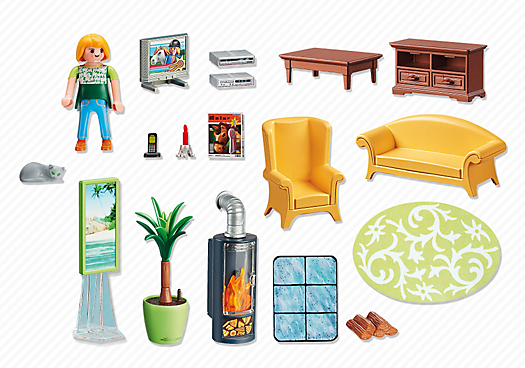 Enjoy a lazy day in the Living Room with Fireplace. 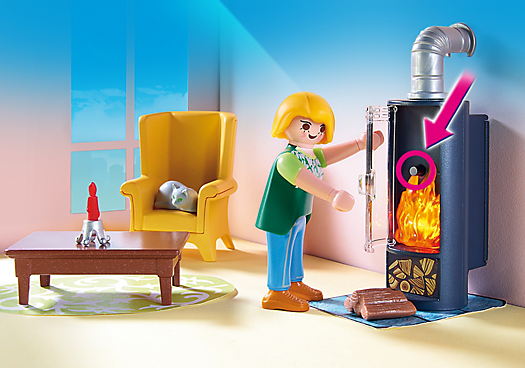 Thanks to the illuminating fireplace, this room offers a cozy place to enjoy a magazine or watch TV. 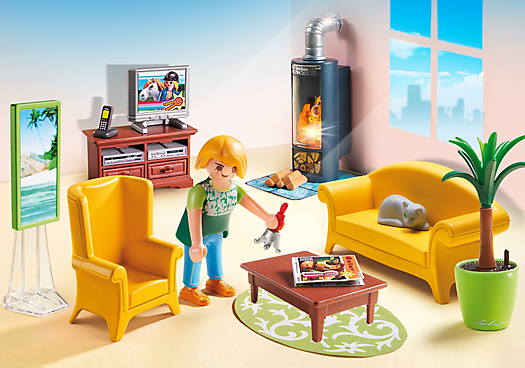 The couch and armchair provide seating for up to three unless the cat is napping on the couch. 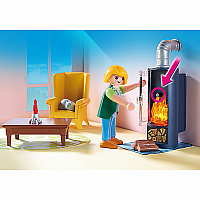 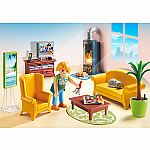 Set includes one figure, TV, TV stand, coffee table, armchair, couch, illuminating fireplace, phone, artwork, cat, rug, and plenty of other accessories. 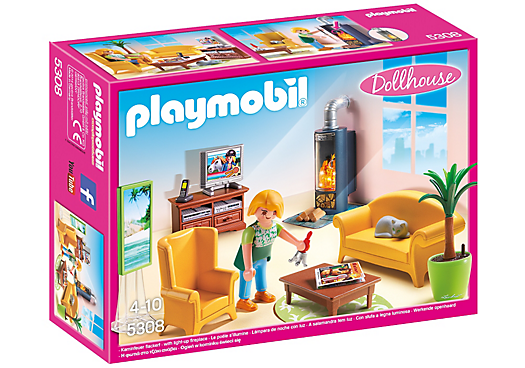 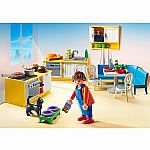 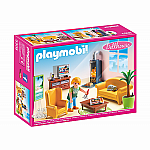 Combine this set with the Deluxe Dollhouse (5303 – sold separately) for added fun. Set includes one figure, TV, TV stand, coffee table, armchair, couch, illuminating fireplace, phone, artwork, cat, rug, and plenty of other accessories.